My kids are awesome. They got me a short sleeve GORUCK Rucking Shirt for Christmas. Below is my ongoing review. When I pulled it out of the box I was immediately impressed with the look and feel. The shirt looks good and feels good. It is soft and smooth and has a nice stretch to it. When I put it on, I was a little disappointed. I am a skinny dude and I usually wear a medium. When I put on the Rucking Shirt I felt like it was too big in the torso. I usually like a tighter fit, so it felt a little “frumpy” and I decided that, while the shirt is designed to be at home in the office and out on the ruck, I currently don’t feel 100% sporting it in the office. 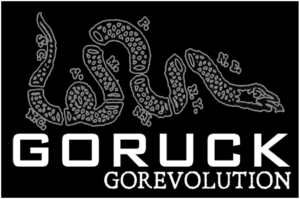 Click to check out the GORUCK Rucking Shirt. 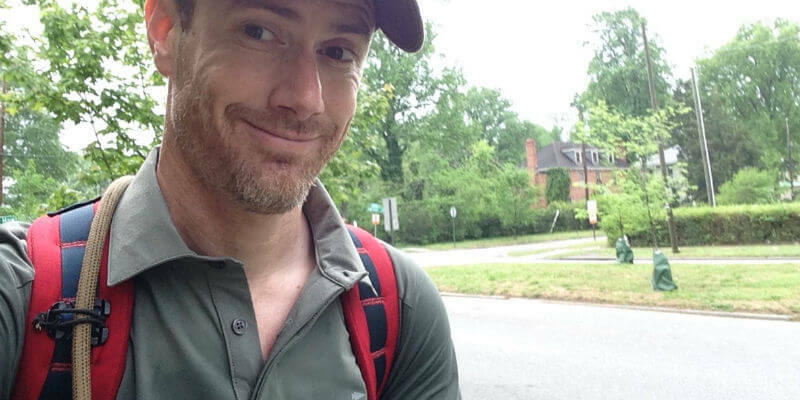 It was an early morning ruck and the weather was overcast and in the 60’s. I was meeting up with a buddy and planned to put in 10 +/- miles. Putting in the miles I did manage to work up a big sweat. The shirt was soaked, but it seemed to manage the sweat really well, wicking it away from my body. Here is where I noticed the advantage of the loose fitting nature of the shirt. Since it did not fit as tight as my other shirts it allowed for a good amount of air to flow and keep me cool. This is in contrast to the normal “dri-fit” shirt I normally wear which is much closer to my skin and starts to “stick” to me once I begin sweating a lot. So, the loose nature of the fit was actually pretty nice. 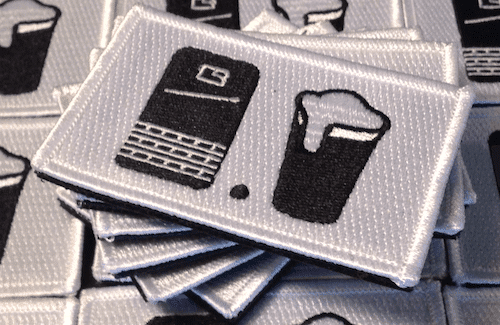 Click to learn more about the Rucking Shirt design process. Now, for my only negative comment… the shoulder seams. 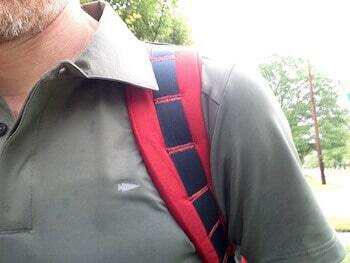 The seam is offset to the front of the shoulder and is designed to be more comfortable for carrying a ruck. However, I had the opposite experience. I felt like the offset seam was a bit more irritating. When I ruck I like to adjust my strap position to help distribute the weight and give different muscles a break. I found that when I moved my straps far out on my shoulders that the seam really dug in and was noticeably uncomfortable. Uptade – This no longer bothers me at all. Don’t even notice it. Click to shop for this and other great GORUCK gear. I took the Rucking Shirt out for a second ruck. Just 4 miles on a drizzly and cool afternoon. 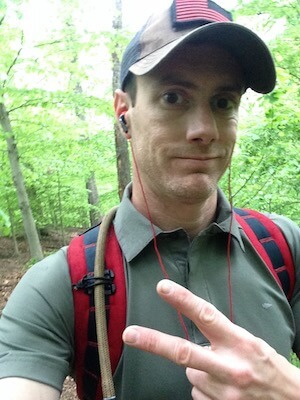 There isn’t much to add from last ruck except I did pop the collar this time due to the rain. It did a great job of keeping my neck dry. So, that was nice. Also, the offset seam didn’t really bother me as much this ruck. 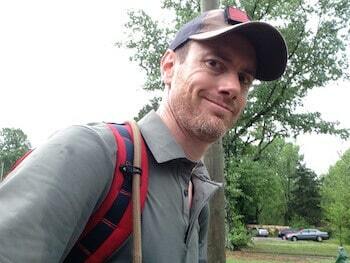 Wore my Rucking Shirt on a 12 mile ruck in the rain. This thing has magical powers. As it was raining, my shorts began to cling to my body, but my shirt didn’t. Had I been wearing one of the shirts I normally ruck in, it would have been stuck skin tight in the moisture. However, by some magical power, the rucking shirt didn’t cling to me and it actually felt dry (compared to my shorts). This is quickly moving up on my main shirt to wear while rucking. I am still interested to see how it will feel on hot days. To really give this shirt a fair review there needs to be more testing. For one, I need to test it in a much warmer environment. After that, I need to give it a proper event test. I’m doing the Philly GOREV HTL in July, so that should check off both those boxes. I’ll update the review after the event. Join me at the GOREV in Philly! GORUCK makes some amazing stuff. I have no hesitation telling people to go drop the coin on the GORUCK Simple Pants (read my full GORUCK Simple Pants review) or on a GR1 or GR2. Right now, I can’t say the same for the Rucking Shirt. Is it a good shirt? Yes. Does it look good rucking? Yes. Is it so amazing that you should drop the coin today? Maybe. I really like the shirt and it was a super cool gift from the kids. I’m happy that I have it and that they got it for me as a gift. But, based on my current experience, would I personally drop $65 on it? Probably not. I say that mostly because I don’t feel like the shirt did anything that my $20 dri-fit can’t do… well, except pop the collar. Update – I’m getting close to saying it is totally worth the coin. If it is on sale, totally worth it. If not, maybe go for it, maybe don’t. Your call. I’ll be sure to keep you posted as I update this review over time. What about you? Do you own the Rucking Shirt? Share your thoughts in the comments below! Have you tested it in temperatures exceeding 90f with high humidity? Love the look of the shirt. I need to get my hubby out of a T-shirt sometimes. It’s on the wish list. The collar would be great for the rain. Lots of rain here in GA. Agreed on the pants. They are my favorite GoRuck gear. They were my big Christmas gift this year. Thanks for the review.